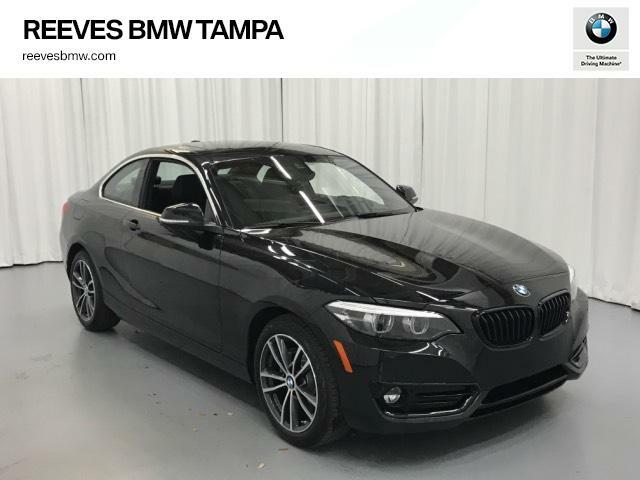 Only 1 230i Coupe model left in stock! Back-Up Camera, Turbocharged, iPod/MP3 Input, Dual Zone A/C Onboard Communications System, Aluminum Wheels, Steering Wheel Controls, Electronic Stability Control, Heated Mirrors. PREMIUM PACKAGE Heated Front Seats, Universal Garage-Door Opener, Navigation System, Speed Limit Info, Remote Services, Advanced Real-Time Traffic Information, Apple CarPlay Compatibility, 1 year trial, Heated Steering Wheel, CONVENIENCE PACKAGE Auto-Dimming Rearview Mirror, Auto-Dimming Interior & Exterior Mirrors, Moonroof, SiriusXM Satellite Radio, 1 year All Access subscription, Ambient Lighting, Comfort Access Keyless Entry, Lumbar Support, TRANSMISSION: 8-SPEED SPORT AUTOMATIC (STD).